This isn't a five by five program. Sorry to disappoint. I'm going to show you how to build better bench press strength using high rep sets. 20 rep sets, to be specific. Heresy? Maybe. Does it work? Yes. Look, I've tried everything in my 31 years of training. Low rep sets. High rep sets. 10x3 schemes. 3x10 schemes. Ramping sets. Periodization. High frequency. Low frequency. A five rep set is about 85 percent of your one rep max. When you push this weight to six reps, your one rep max increases by 3%. Now, if you try to bump your 10 rep max up to 11, it's only a 2.1% one rep max increase. Pushing your 20 rep max up by a single rep is going to be an even smaller percentage. See what's happening here? Mathematically speaking, it's easier to add a rep to a lower intensity set. In this case, "intensity" is weight percentage relative to your one rep max. If your max is 250, repping out with 225 is far more intense than repping out with 175 pounds. So am I saying that the only way, or best way to increase your bench press strength is high rep sets? No, absolutely not. What I am saying is that if you're grinding away at low rep sets and it's not working, increasing reps per set, and your overall volume of bench press work, is well worth a try. I'm using this approach myself right now after 10 years of low rep sets. I've managed to increase from 225 for 20 reps to 250 for 24 reps in the last 2 months. This is rock solid progress. I'm going to continue using this protocol and see if I can increase my raw bench press to over 400 pounds. We will be using a four day split that features an intense bench press and chest day. You will also be hammering your triceps and shoulders several days later, which will also assist your bench press strength. Bench Press. Start with 55% of your one rep max. Perform as many reps as possible. If you are able to knock out 20 or more reps, add 5 pounds to the bar the following week. The goal here is to continue to improve the amount of weight you can move for 20 reps. Don't worry if you have stall weeks. Continue to push, and push hard. If you hit a period of 3 weeks where you can't increase the reps for a given weight, back off by 10 pounds and start the climb over. Bench Press - Back Off Sets. Keep the same weight on the bar. Now perform two sets for as many reps as possible. Stop each set when you feel like you might fail on the next rep, or when your form starts to slip. Dumbbell Bench Press. When you can perform 5 sets of 10 reps, grab heavier dumbbells. Push Ups. Perform as many reps as possible. For all other exercises, add when when possible. Progressive overload is king. 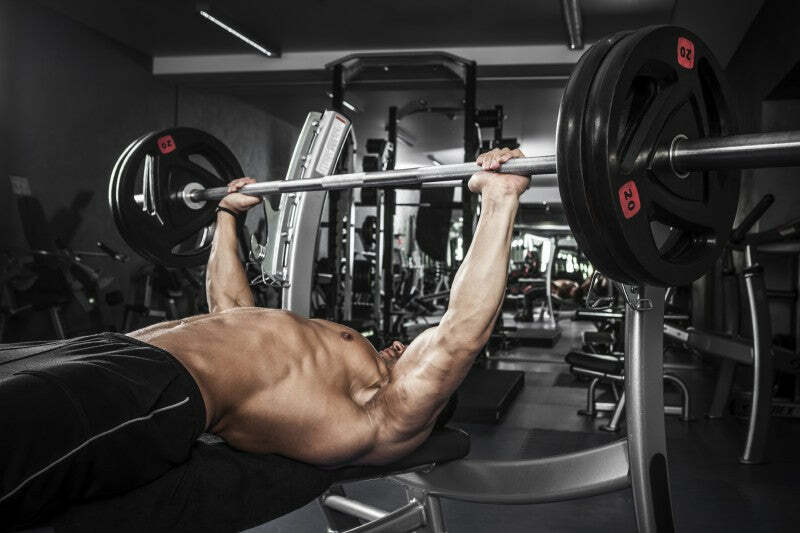 If you can perform the stated number of reps for each set of a given weight, increase the resistance slightly. great article as always. I’m about to adopt a similar approach myself prioritizing close grips and reverse grips for lower reps followed by high-rep regular bench sets (I’ve been doing 5×5 and 6×3 lately). Just wanted to say hi I used to be JayMax over at Muscle and Brawn forums. I’m actually competing in a deadlift only this December. Just got back into it last year but I just pulled 550 this weekend….probably going for 560-570 at the meet. Good to see you are doing well I miss our forum conversations! I am definitely going to give this a try! My bench is my weakest lift, therefore I must try anything to make it a strength.